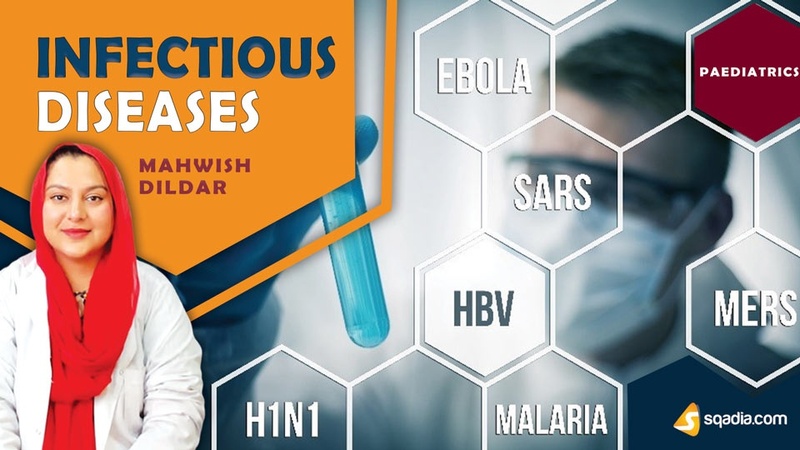 Inquisitive to learn about various infectious diseases? Then this is the sqadia.com medical video lecture just for you. 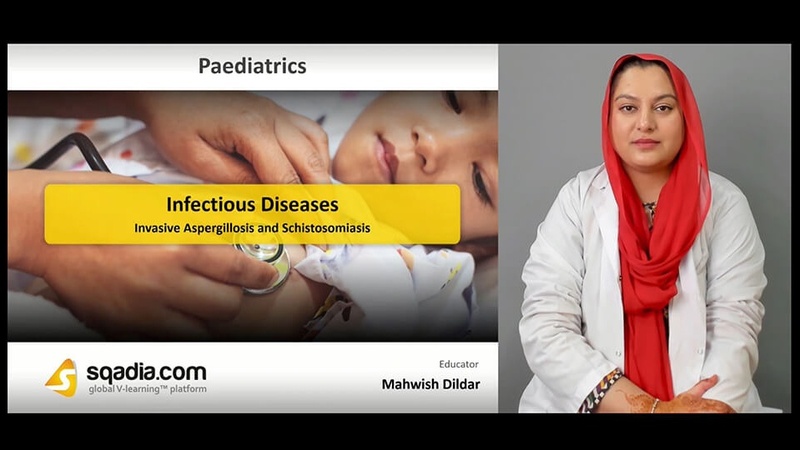 A range of infectious diseases have been comprehensively elaborated in this V learning lecture. Congenital toxoplasmosis, cryptosporidiosis and cysticercosis along with invasive aspergillosis and schistosomiasis has been explicated. Additionally, malaria, neonatal candidiasis, visceral leishmaniasis and Kawasaki has been conversed about in-detail. In the beginning, congenital toxoplasmosis and its epidemiology has been shed light upon. Following this, its aetiology and pathogenesis along with the clinical presentation has been conversed about. alongside this, diagnosis and treatment strategies have also been mentioned in-detail. In the end, prognosis and prevention has been explicated. Initially, cryptosporidiosis, its aetiology and pathogenesis has been explained. Additionally, its diagnosis, treatment along with prognosis and prevention has been considered in-detail. Moreover, cysticercosis has also been defined. Furthermore, its aetiology, pathogenesis along with clinical presentation has been expansively talked about. Conclusively, its diagnosis, treatment alongside prognosis and prevention strategies have been delineated. Invasive aspergillosis has firstly been defined. Moreover, its aetiology, pathogenesis and clinical presentation has been presented. In addition to this, schistosomiasis has been described. Its features, aetiology has also ben discussed. Diagnosis, treatment, prognosis and prevention of both these medical conditions have been brought under consideration. The key point of emphasis of this section is malaria and neonatal systemic candidiasis. Their aetiology, pathogenesis and clinical presentation has been mentioned under separate heads. Moreover, their diagnosis, treatment, prognosis along with certain prevention strategies has been elaborated. In this section, visceral leishmaniasis and Kawasaki has been comprehensively talked about. primarily, their aetiology, pathogenesis and clinical presentation has been highlighted. On the other hand, their diagnosis, treatment along with the prognosis and prevention methods have also been shed light upon. In addition to this, certain complications associated with Kawasaki has also been comprehensively explained.